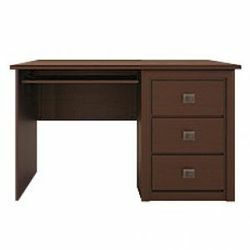 Range of computer desks in our online store is large and constantly updated with new models. 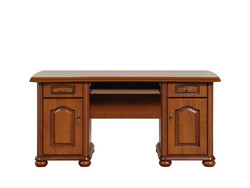 Here you can buy a classic computer desk, computer desk with top nadstavkoj, table laptop computer desk corner. Today it is difficult to imagine any office workplace employee, student from the first to the eleventh grade and, especially, the student without a computer. 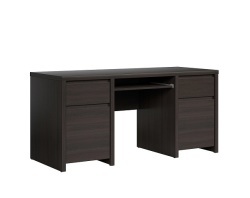 Also, most jobs staffed various office equipment: fax machines, printers, copiers, and many others. Producers there is nothing for it but to begin the development and production of tables, which could be placed all the above techniques and at the same table to retain its main purpose. 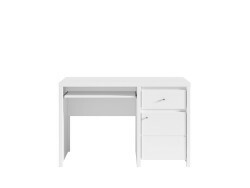 These tables are called "computer". 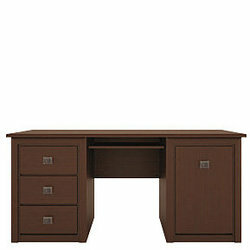 Subsequently, production of computer desks becomes whole trend in the furniture industry. 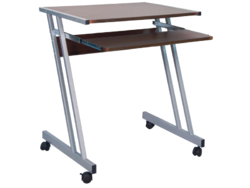 To date range of computer desks on the market is huge - from small and compact to full functionality and maximum-designed jobs. The main difference from a computer desk writing - the obligatory presence of a keyboard tray and place under the system unit. 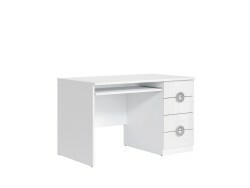 Configuration computer desk can be with or without superstructure superstructure, direct or corner, standard or mirror - all for easy selection and subsequent installation. 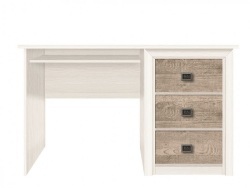 And if you choose your own computer desk, you need to decide for what purpose you want to buy it for someone that you are on this computer desk and how much you want to place this table stands. 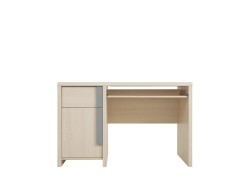 Computer desk must be sturdy, functional, comfortable and safe. 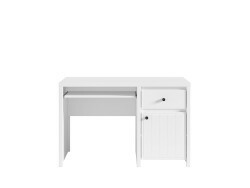 For children it is recommended to choose a table with rounded corners.